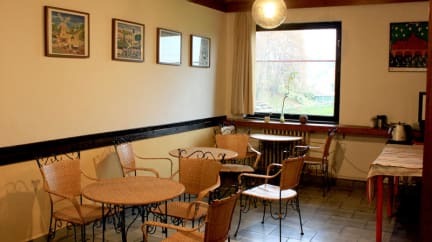 Set in Ořechovka, a residential area in Prague, a 20-minute walk from Prague Castle, Discounts Prague Hotel provides a bar, a spacious terrace and a garden with a children’s playground. The front desk is available for 24 hours. Free WiFi is available in all areas. Breakfast can be enjoyed in rooms, in a dining area or in a garden. Guests can make use of vending machines, ticket service, luggage storage and a safety deposit box. Prague centre can be reached within a 15-minute tram ride. The closest tram stop is just 350 metres from the hostel. An airport shuttle is available for a surcharge. Free public parking is possible in front of the building. Prague 06 is a great choice for travellers interested in monuments, architecture and food. All rooms offer garden views. Some feature a TV with satellite channels. They come with either private or shared bathroom facilities. 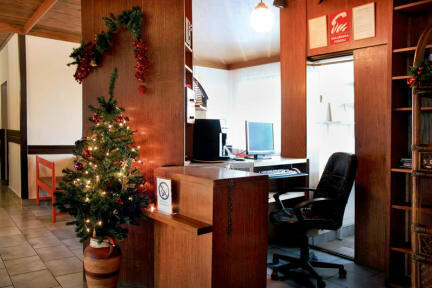 We offer private rooms as well as 4 or 6-bed dormitories. Taxes not included - 0.60 EUR (15 Czech Koruns) per person per night.